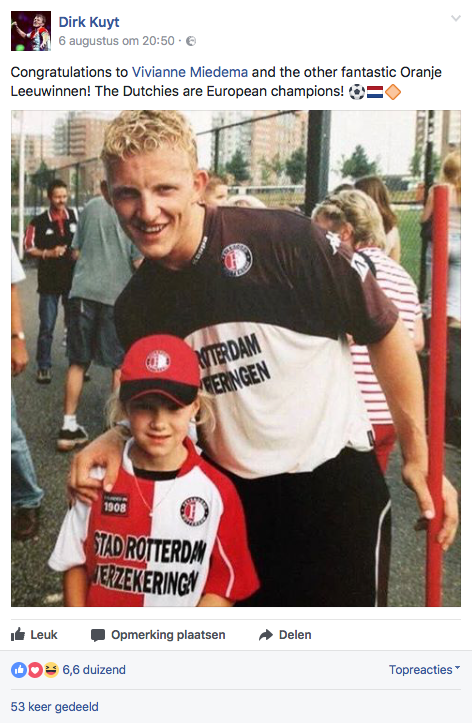 A mini Vivianne Miedema? The thug life story from Sari van Veenendaal? Prime Minister Rutte and champagne? 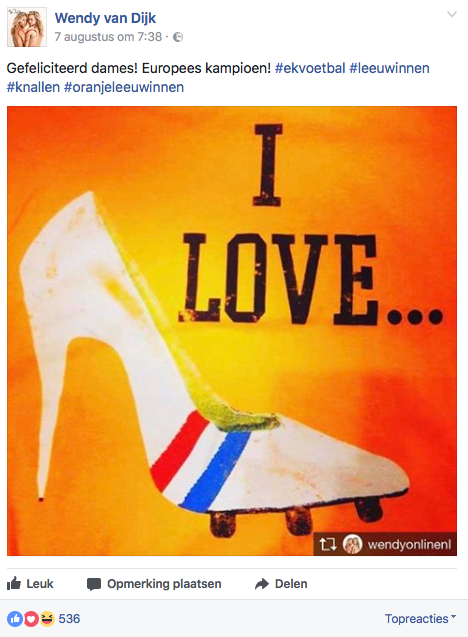 The Dutch Lions won the European Championships and we have the best stories. Mark do you like champagne? 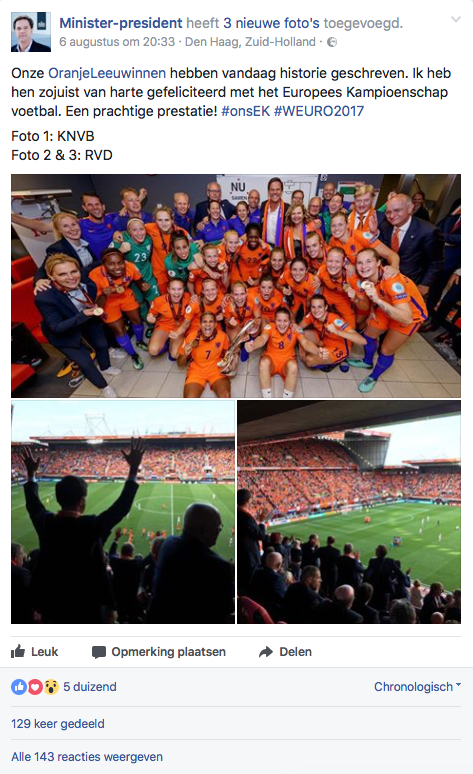 Prime Minister of the Netherlands Mark Rutte was present at the final match and could not have had a bigger smile on his face. 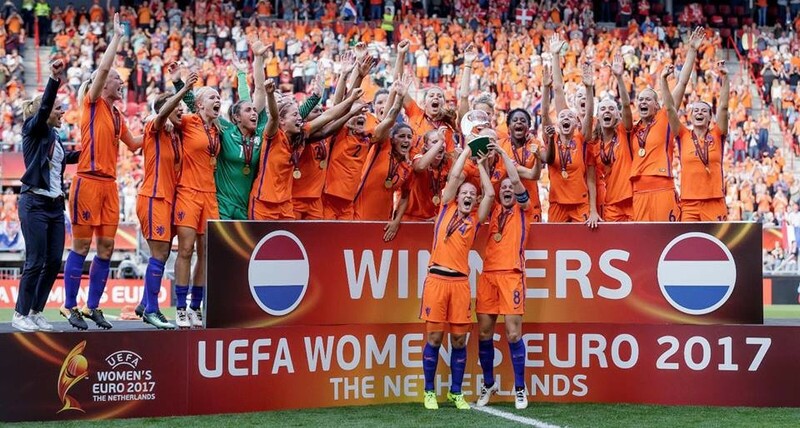 He congratulated the women saying that all the people of the Netherlands are proud of them. The team answered with cheering, jumping and champagne in the air! “Jij krijgt die lach niet van mijn gezicht, dat zou je wel willen…” The song is from John de Bever and it’s about laughing and wiping the smile off your face. The only thing the women could do was smile, jump and thanking their fans for being there. John changed the lyrics specially for the National Team, and now the song jumped to the Dutch iTunes Top 100. Is this really information we need? 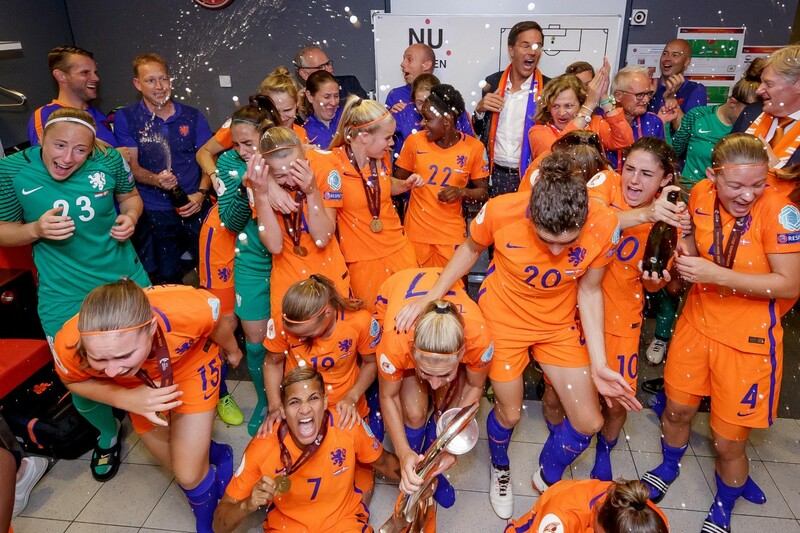 The official congratulations will take place in October, the National Team will visit the Prime Minister Rutte and Minister Schippers of sports. The first World Cup qualifying match will take place the 24st of October against Norway. Which they they have defeated in the opening match with 1-0. For more highlights of the European Championships look at Ons Oranje.